Animal games for kids can be a wonderful way to stimulate your kids' curiosity by helping them learn more about the many animals that populate this planet. Also it can be a great way for them to get physical and exercise their body, too. Animals can be so much fun in the sense that they look, behave, 'talk', and live so differently from us humans and yet they are not that different as we can all imagine taking on an animal persona and imitate them. - Who'll get to the Elephant's Seat? This is a game that’s guaranteed to have you all smiling and laughing in no time, especially if you get a lot of friends and family to play the game with you. You will all need to sit around in a circle – outside or inside doesn’t matter – and you will assign each person an animal. The only action that must remain the same is the elephant's, which involves the person placing their left hand on their nose as they slip their right arm through the circle that is formed by the left arm. 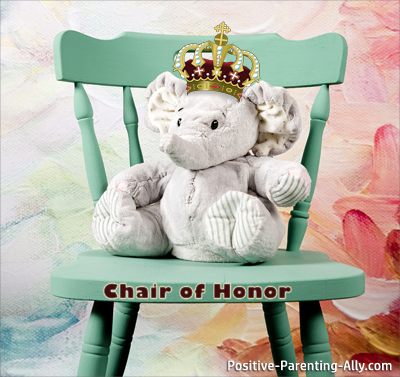 One person will be in the chair of honor, which is the elephant’s seat. They will begin the game by performing their action – the elephant – and they will have to perform the action of another person in the circle. That person will then perform their own action, along with the action of another person. They will basically be calling out the other person by performing their action, so they need to make sure to get it right. They need to be certain to perform their action first, and they must perform it properly in order for it to count. The person that is immediately to the left of the elephant will be in the lowest seat, which is where the people that make mistakes will go. Everyone that is to the right of the person that makes a mistake will shift one seat to their left, and their action will change according to the seat that they are sitting in. 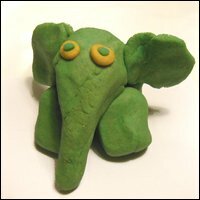 The goal of the game is to get the elephant out of their seat, and take that seat for yourself by knocking out all of the other people between you and the elephant. The person that sits in the elephant chair when the game is over is declared the winner of the game. This is going to be a hilarious game to play, both with kids and adults. 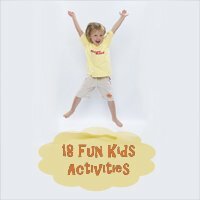 The kids will have oodles of fun pretending to be their favorite animals, but you will find that some of the actions can be a bit complex. This will make it even more fun, as the kids will have to accustom themselves to the complicated actions in order to progress in the game. It will be a game that’s guaranteed to have you all laughing your heads off, as you will see how many people will make mistakes with the more complicated actions – not the least of which is the elephant’s action! Teaching your kids facts about animals can be a whole lot of fun, though you may find that they will rebel if you just try to hammer home the facts. Instead, you can make the animal facts for kids a whole lot more enjoyable if you make it into a game. You can turn it into a sort of “Animal Jeopardy”, or just a regular quiz game. All you will need to do to play the game is to buy a set of animal facts cards, or just make your own yourself. You can get yourself a pack of index cards and a black pen (or simply cut out some cards from paper), and you can look up some animal facts online (e.g. for some interesting animal facts you can go here or maybe Boredpanda.com for some fun animal facts). Write out at least 50 to 100 cards with animal facts on them, and consider adding multiple choice answers to give your kids a chance. 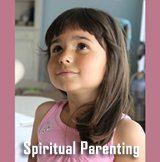 Once you have all of the cards written out, it’s time to get started playing the game with your kids. At the beginning of the game, you will find that your kids will make lucky guesses more often than actually knowing the answer. This is fine, as they will just need to learn the facts in order to get the answers right. You can show them the cards at first, and they can read over the various facts in order to find out what the answers are. Don’t give them a chance to memorize the answers, but just let them read over the facts with you and be amazed at the various things they didn’t know about animals. Once you get started using the index cards, you will be amazed at how many things they can be used for. There are so many things that you can do with these animal facts cards, and you will find that it will make animal facts for kids a whole lot more entertaining – and definitely much easier for them to learn. If there are a group of animals that most kids love, that group would be dinosaurs. Seeing as there are no longer any dinosaurs on the planet, they are truly a mystery that fascinates almost every child around the world. You can play any number of dinosaur games for kids, and you will find that there are a host of activities that you can do that involve dinosaurs in a number of ways. For example, you can write out fact cards for all of the dinosaurs that you can find, and you can quiz your kids using these cards – much the same way that you’d use the animal facts cards. 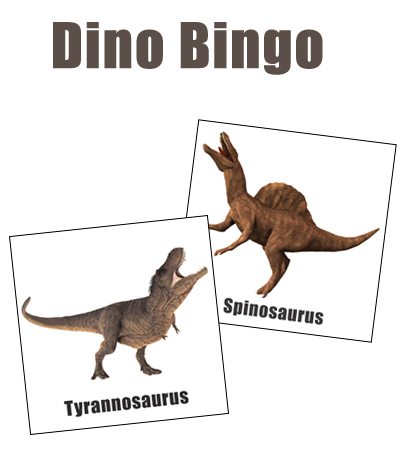 You can get a few dozen pictures of dinosaurs, and you can turn them into Dino Bingo cards. Simply print out smaller versions of the pictures, and use glue to stick them to a piece of paper divided into the 25 BINGO squares. Cover the squares with pieces of contact paper, and hand out whiteboard markers to your kids (the dry erase markers will be easy to clean off). You can have larger pictures of the same dinosaurs printed out and laminated, and you can reach into a hat and pull out the pictures. The standard BINGO rules apply! If you want to do a fun activity that will involve some arts and crafts, why not make your own dinosaur eggs? No doubt there is a lot of speculation regarding what the eggs look like, and you will find that there are thousands of pictures of colorful eggs that you can use as an idea of how to paint your eggs. You can turn your Easter egg hunt into a Dino Easter Egg Hunt, and all of your eggs can be painted with bright colors to look like dinosaur eggs rather than the classic Easter eggs. - Daddy, Get Ready for Some Exercise! Horses are beautiful creatures, and it may be a good idea for you to take your kids to a local farm or petting zoo in order to see the horses. If you can find a place to ride the horses, you will find that it will be a wonderful experience for your kids. Not only can they experience the majesty of these creatures firsthand, but they will be able to say that they’ve ridden on a horse. You can play horse games for kids in your home, and you may find that Daddy’s back will be the best horse that you can find. 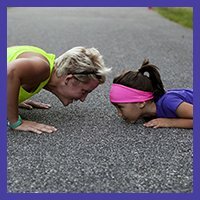 Not only will it be excellent exercise for Daddy, but it can be a fun way for the kids to feel like they’re riding around. All you’ll need is some kneepads and wrist braces for Daddy, a soft rope or string to act as the reins, a pillow to tie to his back for a saddle, and a child to ride the horse. It can be a whole lot of fun, but you’d better have a cold drink ready for Daddy once he’s done hauling the kids around the house on his back. - Who’s a Good Doggy? Dog games for kids are a lot of fun, and you can teach kids about training their dog by playing this game. It is like a version of Simon Says, only the kids will repeat actions that their dog does. You can teach them commands like “Sit”, “Stand”, “Lie Down”, and “Roll Over”. They will need to practice accepting the commands, and performing the actions quickly. When they do each of the commands right the first time, give them a cookie as a reward. Now it’s time to make the game a bit more of a challenge. Instead of just calling out a command every few seconds, you will start calling them out more quickly. 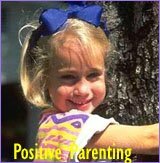 You can increase the tempo of the commands, and the kids will have to follow your speed as they perform the various actions. 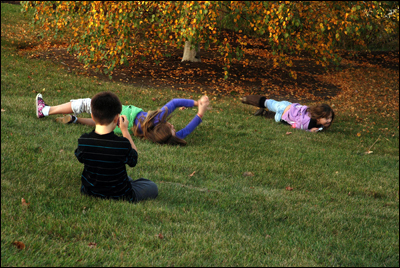 It can be a whole lot of fun to see them sitting, rolling, jumping, lying down, and standing on command, and you can reward them with a treat or a yummy snack once the game is done. As they’re eating, you can explain to them about how these commands are used to train the dogs. Seeing as the dogs aren’t as smart as they are, they aren’t able to remember so many different instructions. While the kids can recognize lots of words, the dogs can only recognize a few simple commands. The purpose of teaching the dogs the commands is to help them recognize the words and sounds eventually, which will ensure that they are accustomed to accepting commands from their master. This kind of animal games for kids will help the kids learn more about training pets, and will be one of the best role playing games for kids to help them think like a dog. If you want to play fun animal games for kids and learn more about the various types of animals on the planet, it may be a good idea to play this game. For this game, you will need a list of wild animals, farm animals, African animals, desert animals, rainforest animals, ocean animals, grassland animals, forest animals, and domestic animals. You can even throw in zoo animals, prehistoric animals, and zoo animals if you want, though it’s usually best to stick with animals that your kids will be familiar with. 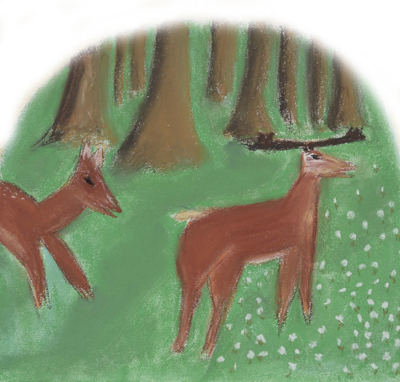 You can either give the kids an animal to draw, or they can choose their own. The goal of this activity is to help them learn more about the various animals they want to draw, so allow them to draw their own picture. You don’t need any pictures or reference materials just yet, as the kids will draw from their imagination. 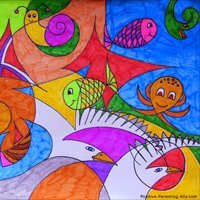 Ask the kids to draw the animals in the natural habitat that they can picture in their mind, including the animal’s home, the area they live, the climate, etc. Once your kids have finished their pictures, no doubt you will need to spend some time researching the reality of the animal habitats. 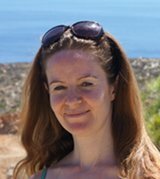 Maybe your child drew a lion in the snow, or a giraffe in the forest. Take the time with each child to research the various habitats and climates where the animals live, and have the kids draw another picture – this time using the correct locations, wildlife, climates, and green life that is found in the habitats of their animals. They will learn more about the animals in a fun way, and it will be a good way to teach them about the various habitats around the world. Did you know that making animal masks and animal costumes is actually a lot easier than you might expect? This type of animal games for kids can be a fun project to do at home, and it can help you to occupy yourself on a rainy weekend afternoon. For the masks, all you will need is a few paper plates, some markers and pencils, and some pieces of colored paper. Simply draw the animal faces on the paper plates, and cut out the shapes of the faces according to the animals you are drawing. Have the kids fill in the details of the face, such as the eyes, the nose, mouth, whiskers, etc. The animal costumes are going to be a bit trickier, but they can be great if you want to teach your kids about sewing at the same time that they are learning about animals. All you will need is a simple material of the color that your animals will be (golden for lions, orange for tigers, white for polar bears, black for black bears, etc. ), and you can cut out the cloth in the correct pattern to make a full body jumpsuit for your little animals. You will then be able to sew the cloth properly, leaving enough space to allow your child to get into the suit. You can all play dress up with the costumes and masks that you’ve made, and it will be a great way to spend time learning more about the many animals in the world! 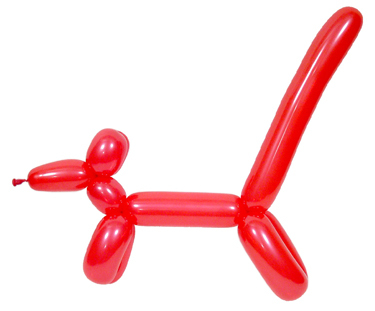 Learning how to make balloon animals can be pretty tough at first, but it will get a lot easier once you’ve gotten the first couple of animals down. Don’t worry if it takes a lot of time, as it will always be a time consuming thing. 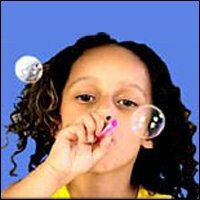 However, once you’ve learned the way to make these animal balloons, you will find that it will be a great way to help your kids learn more about the many animals that they will run into at the zoo or in the wild. To teach the kids, all you’ll need to do is make the animal balloons that you know. The giraffe, rabbit, dog, wiener dog, and elephant are all quite easy, and the proportions of the animals will be quite accurate. You can teach your kids about the long neck of the giraffe, the long ears of the rabbit, the long trunk of the elephant, and so on. You can get creative and learn very complex animals, or you can keep it simple. The important thing is that your kids have fun learning more about animals, and balloons will definitely make it very entertaining for them! There are a number of games that you can play that involve animal sounds, and one of the best is called “Squeak Piggy Squeak”. This game involves one person being blindfolded, with everyone else sitting in a chair around the room. When the person is blindfolded, all of the people will get up and change seats so that the blindfolded person doesn’t know who is sitting where. He will have to go around, sit on people’s laps, and give them a command, such as “Squeak, Piggy, Squeak” or “Bark, Doggy, Bark”. He will have to guess whose lap they are sitting on, but only by the animal sounds that they make (they cannot use their hands). This is another fun game to play if you have a lot of kids in one place, as it is a game that will require a whole lot of people (the more the merrier, in fact). 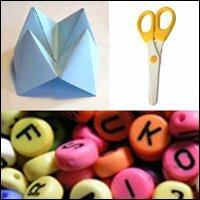 On small pieces of paper, write a long list of animal names, making sure to write each animal’s name on two pieces of paper. 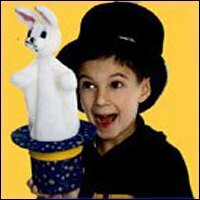 Put all of the papers in a hat, and pass the hat around for each person to take a name. When the game begins, each person has to go around making their animal sound, and they have to find the other person in the room that is making the same noise as them – finding their pair. This is a fun game that will help your kids to practice describing animals without using things that everyone is familiar with, and they can put into practice the animal facts that they’ve learned. You will need to hand out animals to each person, but only they will know the animals. The others in the room have 20 questions to try and figure out what animal that person is, and the person will have to try and give clues that will be accurate without describing the animal. For example, “I eat 75 pounds of food per day” or “I have an 18 inch tongue” to describe a giraffe. 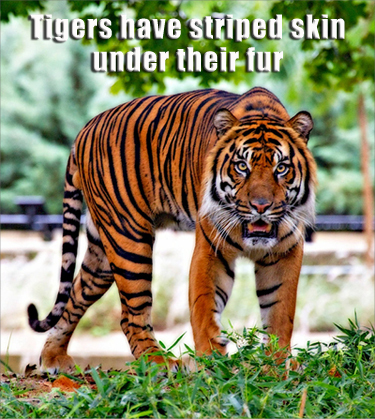 The person that is describing the animal can use a computer with various facts, and you will find that it will be a great way to help your kids learn more about these animals. 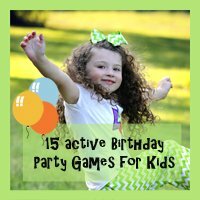 I hope you enjoyed and found some inspiration on this animal games for kids page. 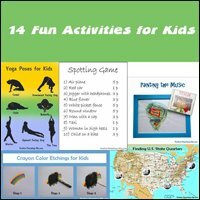 If you are in need of more fun games for kids inspiration, you might find the links below useful.